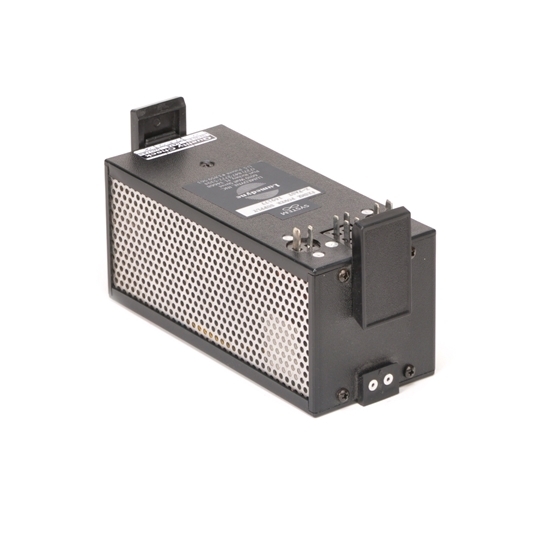 The XSMX Extra-Extra Fast High Speed Module is designed to speed up the recycling for a Lumedyne flash system for crazy fast speeds. It attaches between the Power Pack and Extra Large Batteries or a few other options in order to generate faster recycling times. There are no switches, if it is between the Pack and Battery it automatically makes the system recycle faster. High Speed Modules do not make the system brighter, Boosters do that. However, sometimes when Boosters are used to make a system brighter and then that makes the recycle times get much longer. Then, adding a High Speed Module next to the Battery in the stack makes a huge difference cutting that time down faster. If you want that speed to be as fast as possible, you'll need a very big battery to deliver that amount of current like our Extra Large Battery BXLG. Another power option is the BC12 Vehicle Battery Compartment which also has the extra connection sockets needed. Even with the Extra Large Batteries you should expect about 50% fewer flashes per charge when you recycle at these speeds. For AC power, ONLY the AC Power Base XAC? will have the extra connections and Power to deliver with this monster speed module. It will not even be able to reach 100% of the potential speed of the very big battery options. Because the XSMX adds 56 amps of recycling power it is more than five times faster than the speed of the #065 Pack with it’s 7 amp draw. The #065X, Packs and the #067X Packs (both Pack # styles with letters X, M, L, Q, or T all have 14 amps) all get more than three times as fast when the XSMX is used. The #065Z or #067Z Packs recycle at 28 amps like our current Extra Fast recycle rate of the Next Generation and Signature Series will be triple speed when the XSMX is used. The High Speed Modules CANNOT be used with the Action Packs or the #068 660 Pack. These are not for use with the Cyclers. This is not compatible with the Classic AC Adapters, High Speed Modules don’t do anything with those old #058 style AC powered products. On a side note: If you are a very fast shooting photographer who will use high power very rapidly on a regular basis, you may experience shorter lifespans with your normal 800ws flashtubes. The 2400ws Quartz flashtube option would be more durable also for extreme duty cycle photography at any power level.